Looking for a sporty Italian classic with handling, rarity, style, and a reasonable price? One you can own, maintain, and ride without having to sell a kidney or two? 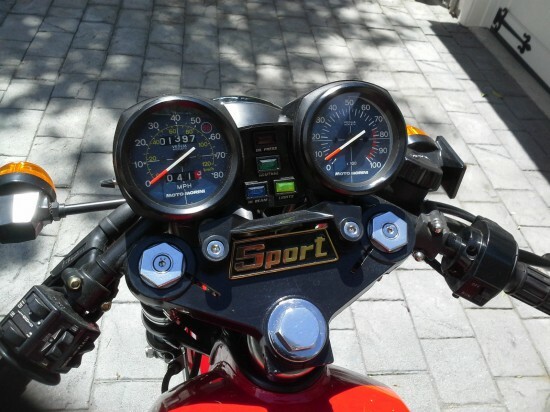 Look no further: I’ve found your ride, a 1983 Moto Morini 500 Sport. 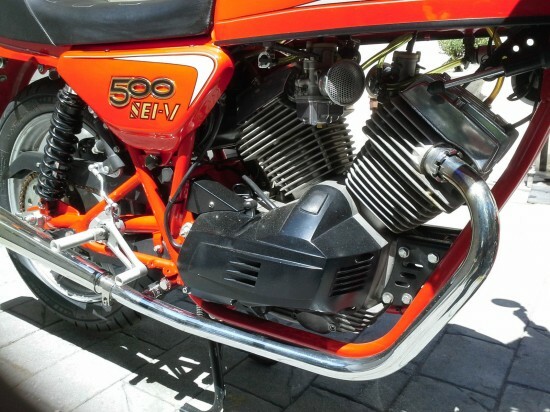 Moto Morini never developed a big motor to compete with rivals from Guzzi, Laverda, MV Agusta, and Ducati, which likely explains why they’re largely forgotten in this country. It certainly isn’t because they’re lacking in the technology department: compact 72º v-twin, interesting Heron-style cylinder heads, a six-speed gearbox, and electric start? Which one of those other manufacturers offered all that in one package? 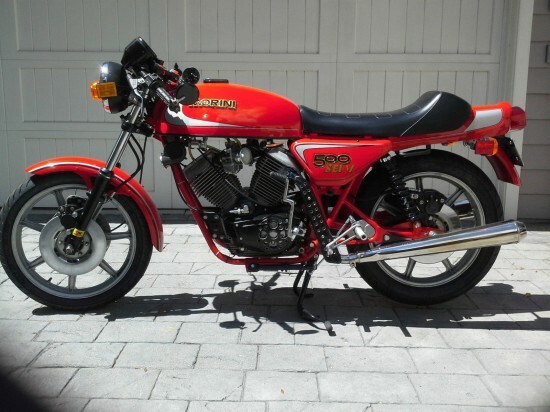 And while these aren’t horsepower kings and won’t win too many drag races, you should catch the bigger boys in the corners: by all accounts, Morini’s are sweet-handling and very nimble. And keep in mind that, with 46hp, the 500cc version certainly isn’t slow. 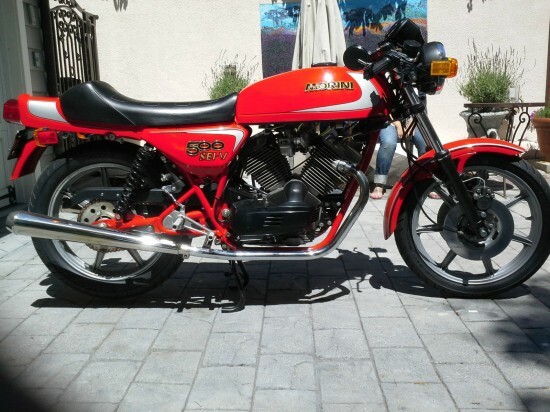 Up for bid is a pristine 1983 Moto Morini 500 V Sport. I bought the bike with 460 miles and it has only 1300 now. The bike is in pristine condition as the mileage would indicate. Under my ownership, I added stainless mufflers, billet V stacks for the Dellorto carbs (which were re jetted), CRG mirrors, metal/enameled tank, side cover and triple tree badges,stainless hardware throughout the bike, and rear sets from Wolfgang Tritsch. 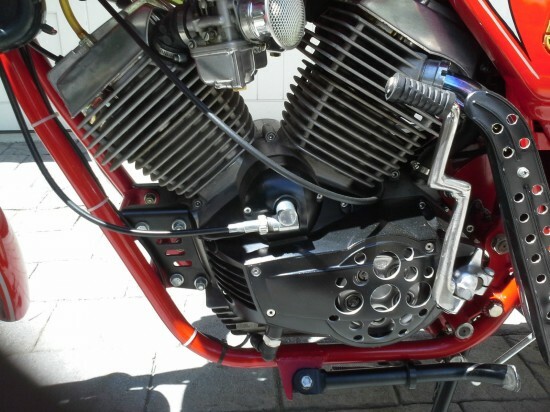 The rearsets required a modification to the kick-start lever and new shift lever linkage to be fabricated. 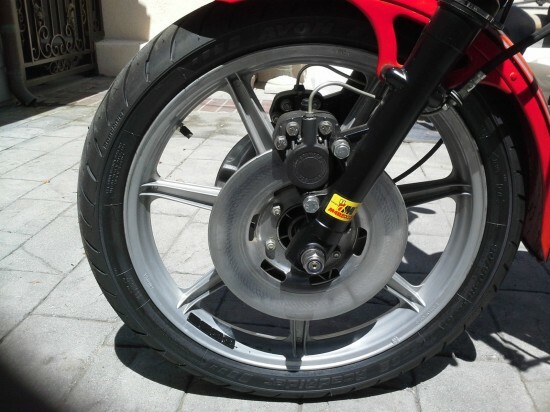 The bike starts on the button or will kick over and start on first kick. It runs flawlessly and is a joy to ride. This later Morini lacks some of the classic styling cues of earlier versions, but on the plus side it has obviously been very well cared for and has almost impossibly low miles for a bike that must be very tempting to ride. Also note the vented clutch cover, with the dry clutch peeking out.